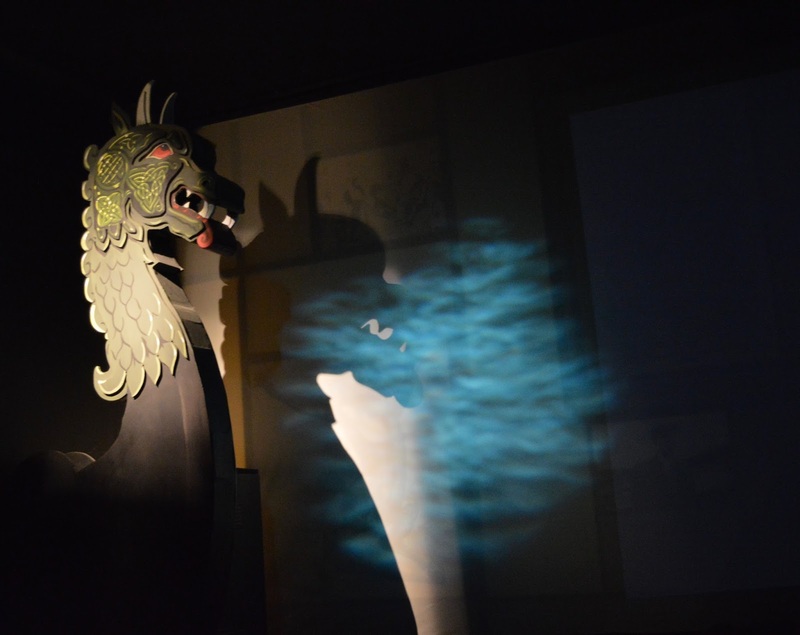 The legend of the Loch Ness Monster has captured imaginations around the world for centuries. 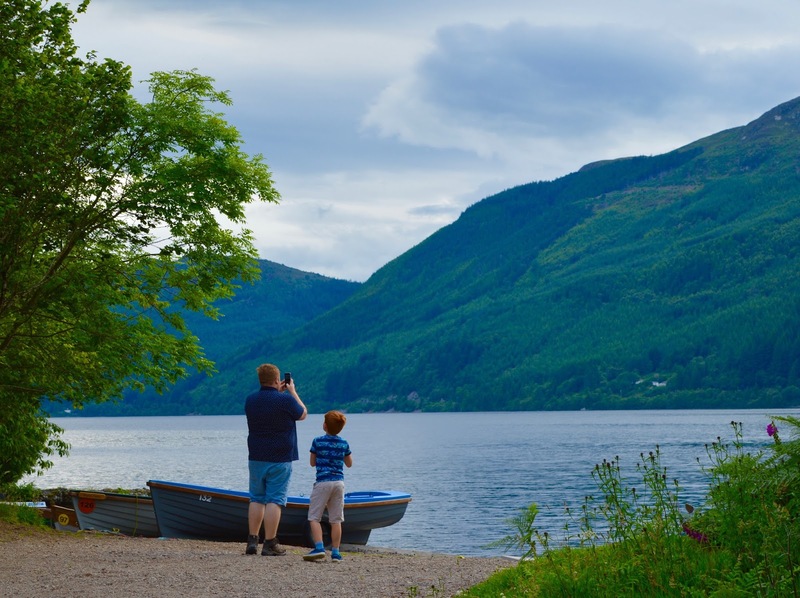 Harry even learned all about Nessie as part of the National Curriculum this year so we thought where better to base our summer break than Loch Ness. We were hoping a little sprinkle of Scottish magic and outdoor life would really inspire and ignite our children's imagination to learn more (and it did). 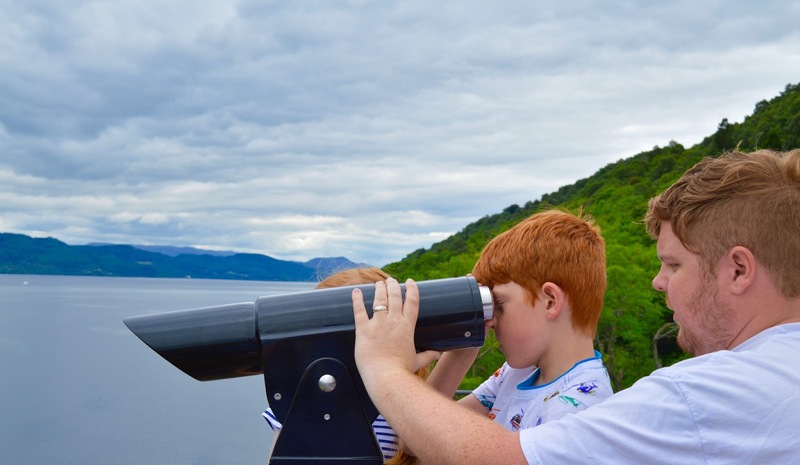 Our first stop in our hunt for Nessie was the Loch Ness Centre & Exhibition which is a five star rated attraction taking visitors on a journey through the history of Loch Ness. Entry is £7.95 for children and £4.95 for children (children aged 5 and under are FREE). You can pre-book tickets online or pay on arrival. 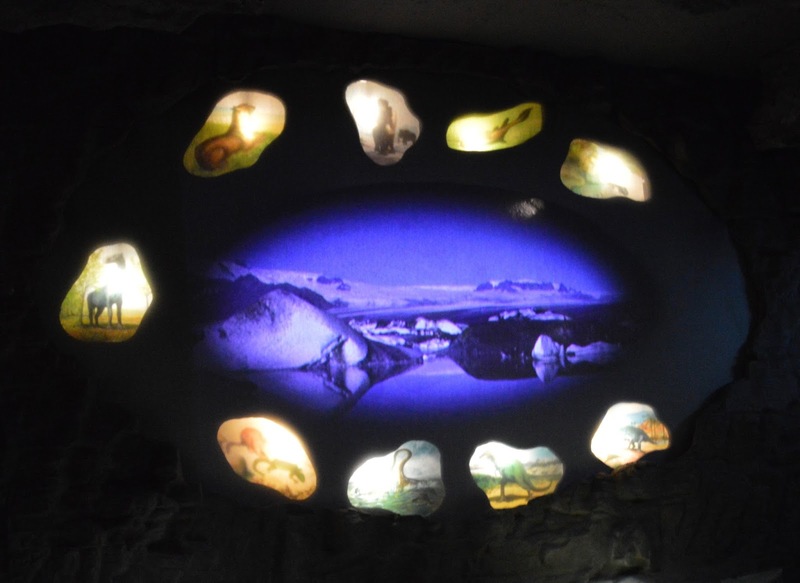 The exhibition is a self-guided tour around 7 rooms which chart the loch (and Nessie's) history from the Jurassic age right through to the present day. 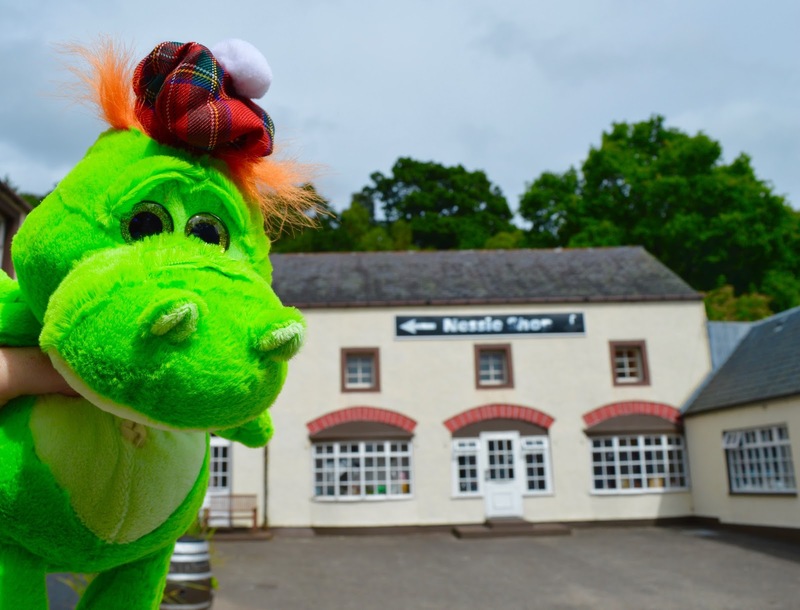 You stay in each room for around 5 minutes and listen to stories, myths & legends about the loch and are provided with lots of food for thought - what would a monster of Nessie's size eat? Can she hide? 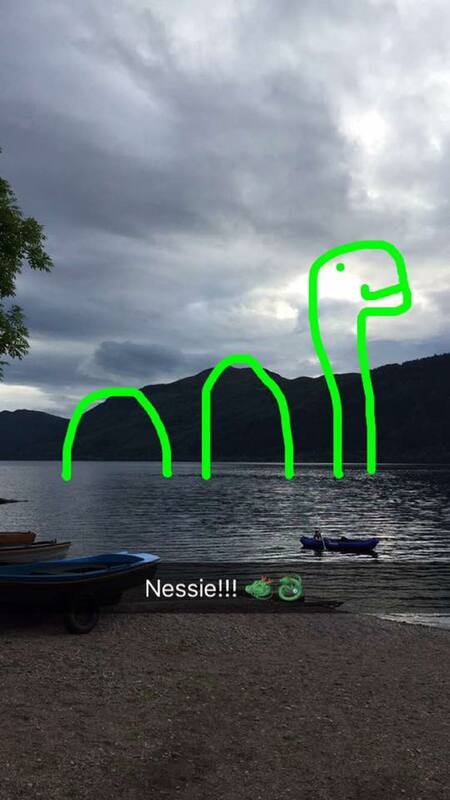 Did people mistake Nessie for a boat or a seabird? 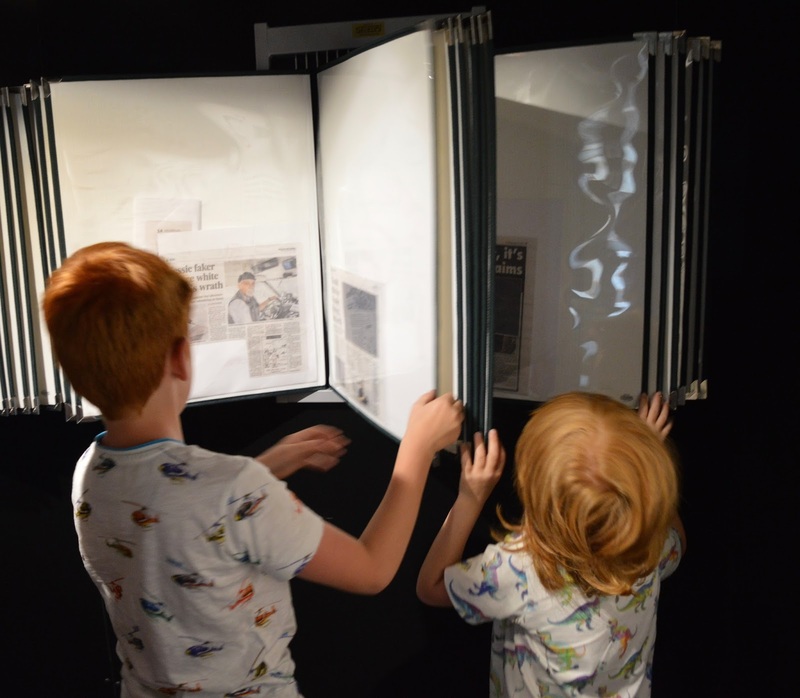 The rooms feature special effects, lasers, real photography and eye witness reports as well as cutting out all the jargon and providing the findings of various scientific experiments that have been conducted on the loch. 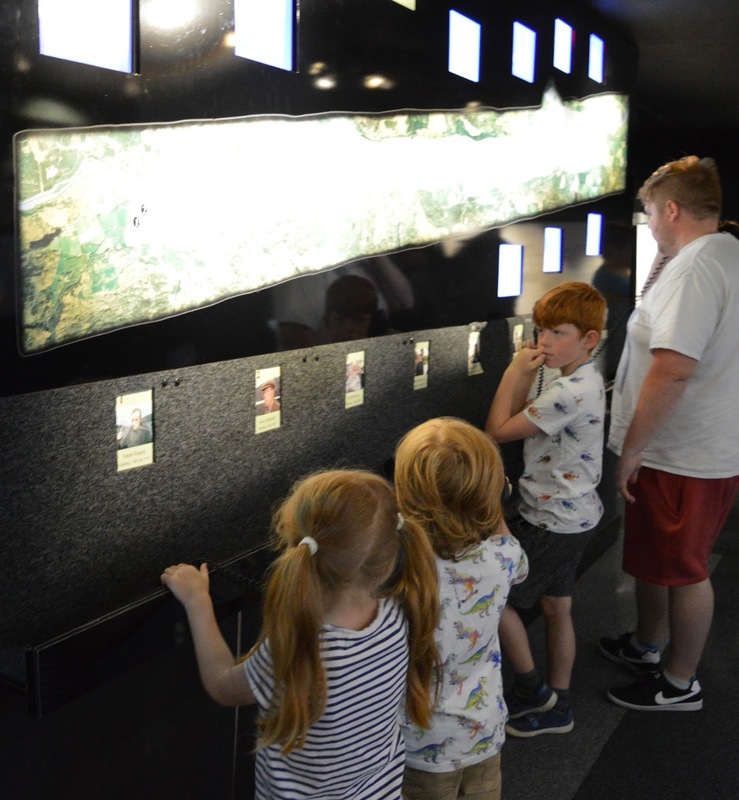 The exhibition very much held our children's attention and they were captivated right from the start. It really is a place that makes you think, not just about Nessie, but the wider context of scientific study, myths, hoaxes and reporting. 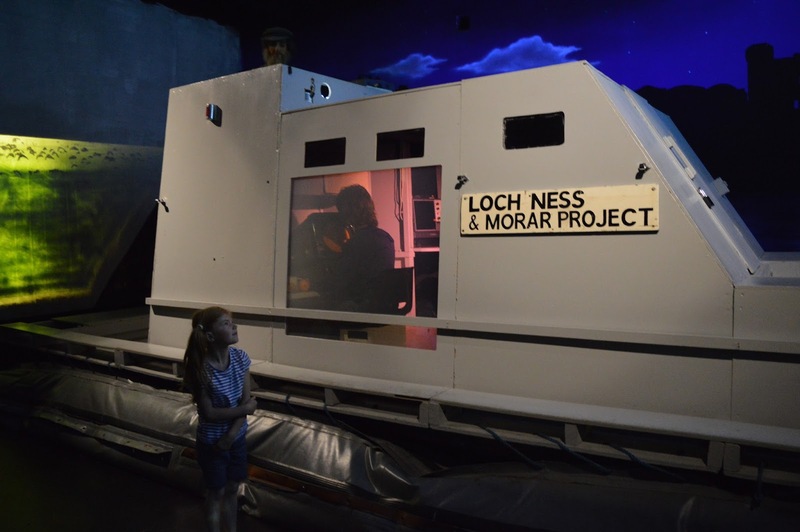 I think the Loch Ness Centre & Exhibition are missing a trick and at the end they should have some sort of voting system where kids (and grown ups) can vote whether they think Nessie is real or not and then compare to how others have voted. The exhibition certainly prompted lots of discussion between us and for me, I am still well and truly undecided. Steve has never believed in the legend but the kids still truly believe. Even more so after the exhibition I think. 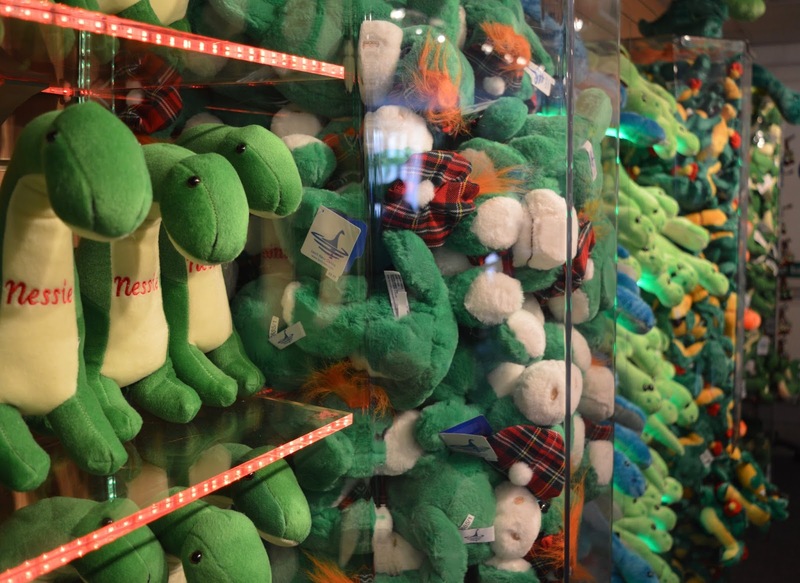 Of course we exited through the gift shop which is THE place to come for your Nessie memorabilia. 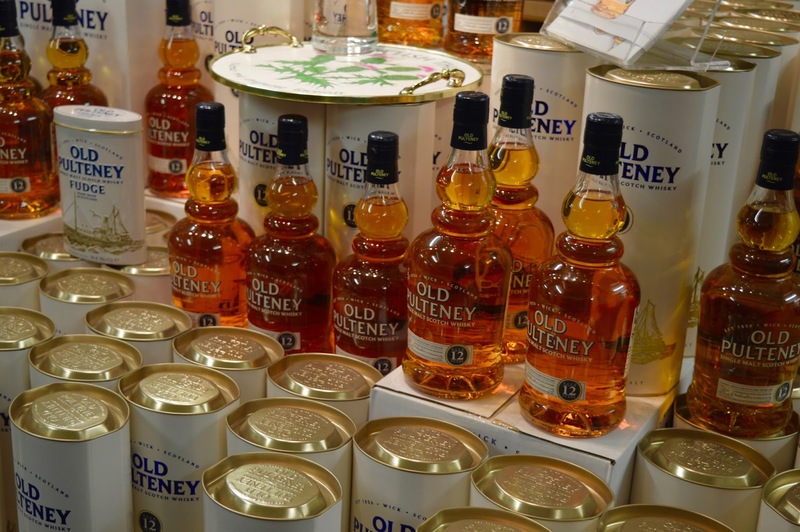 You could buy everything from Nessie hoodies to aprons and there was something for all budgets (we even noticed some smaller items were only 30p). 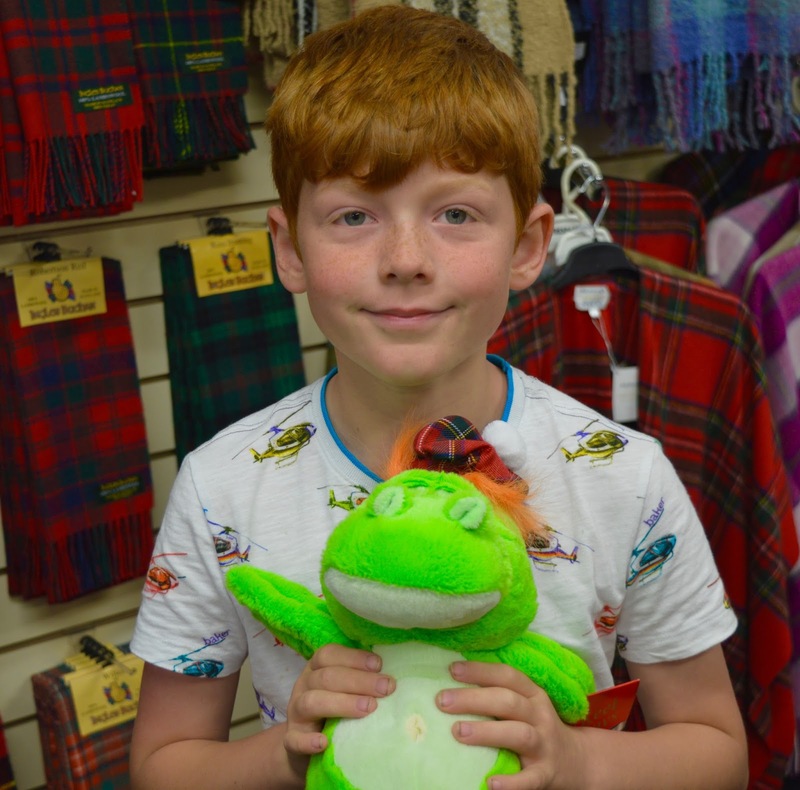 We picked up a cuddly Nessie as a reminder of our trip from what I think must be the biggest collection of Nessie cuddly toys in the world. 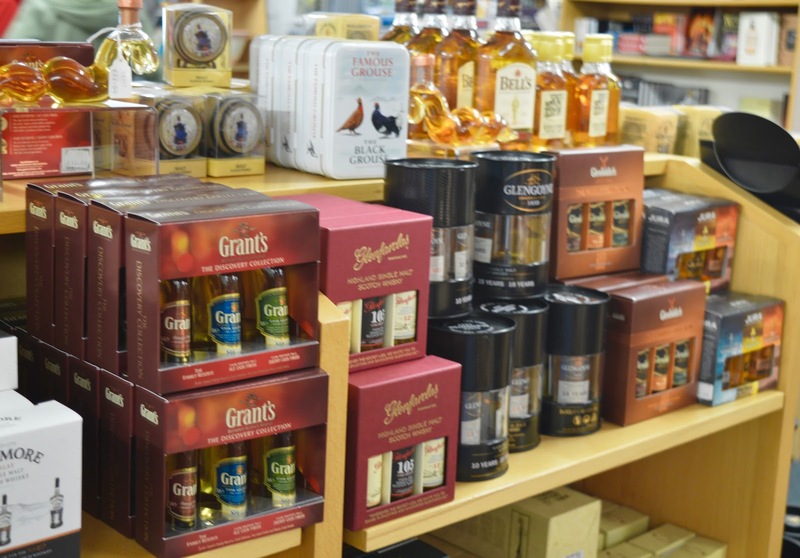 There is a Whisky Shop on site too and the lady who works in there was lovely and very knowledgeable - writing down lists of nearby distilleries for a fellow tourist to visit plus offering samples and tailored recommendations. Steve was in his element and had to pick up a bottle for home. There is also a cafe in the centre and they can organise loch ness cruises for you as well. If your children are keen Nessie hunters, I really would recommend starting your adventure with a visit to the Loch Ness Centre & Exhibition. We left feeling as if we really had learned a lot about the legend and really wanted to spot Nessie ourself. We searched the loch by the shores of Loch Ness Shores where were staying. Unfortunately, we couldn't see anything with our naked eye. However as Steve and I enjoyed a cuppa by the loch, the kids used to love grabbing my camera and could spend hours searching for Nessie. This spot by Harry is pretty convincing......what do you think? What do you think? Is Nessie real or simply a legend? 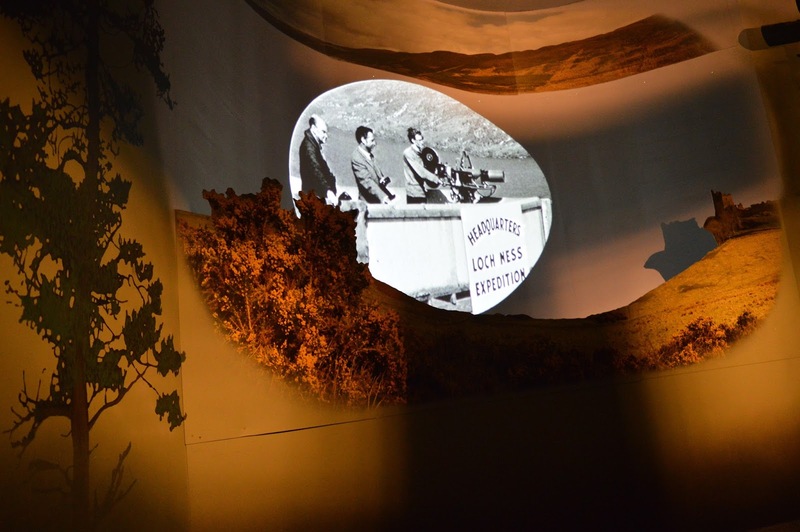 Why not visit the Loch Ness Centre & Exhibition and come to your own conclusion. 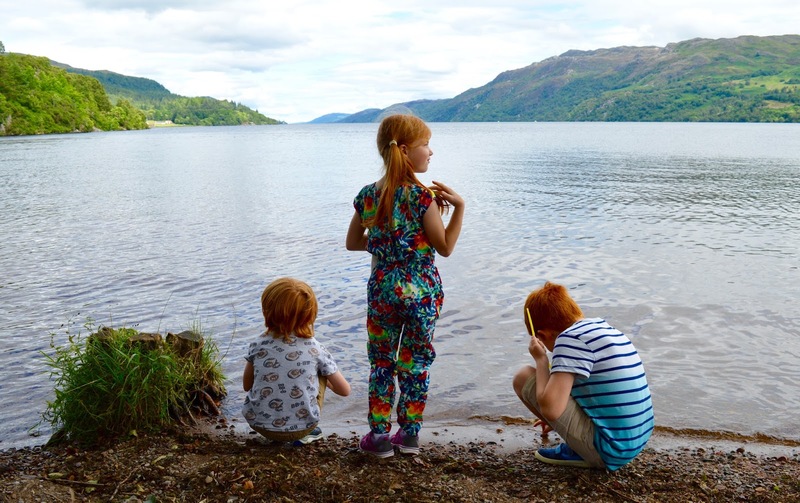 We could not recommend a weekend spent hunting for Nessie with the kids enough. 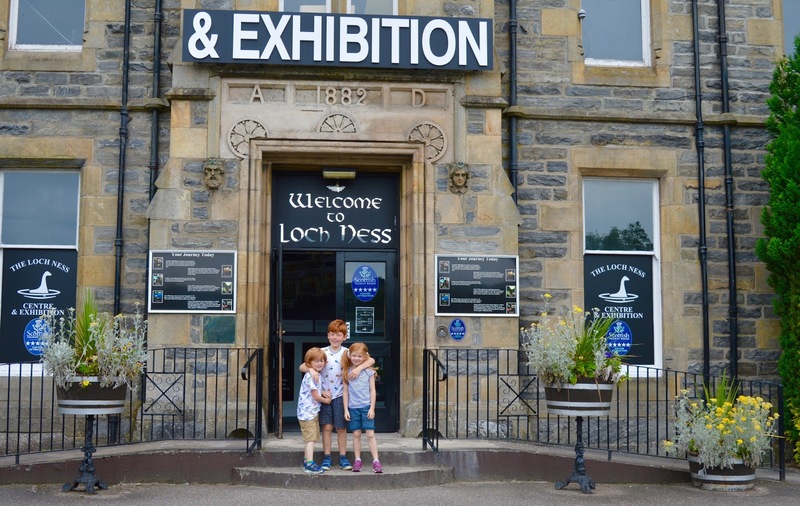 Disclosure: We were provided with complimentary tickets to the Loch Ness Centre & Exhibition in return for an honest review. This looks absolutely brilliant - I remember going to the Loch as a kid, but it was just a very brief stop, not enough time for us to find the monster. We definitely need to go back and look again! 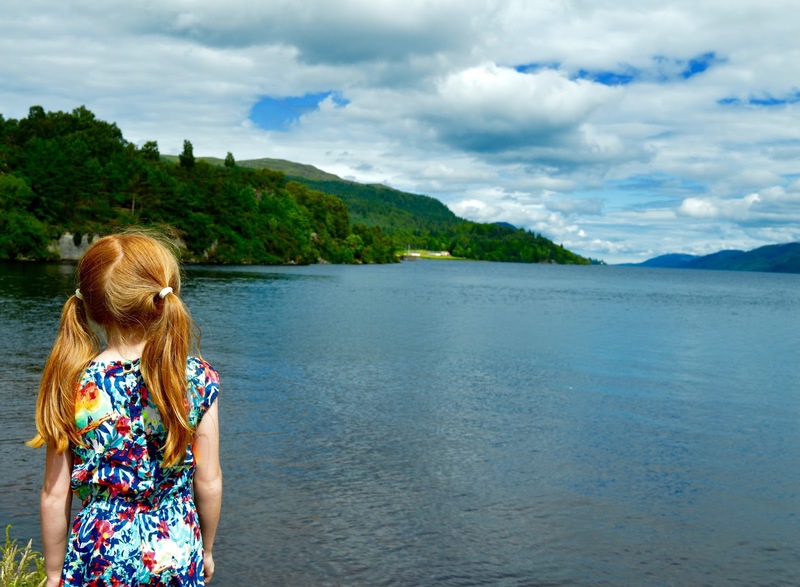 I'd love to go up to Loch Ness, I'm a supernatural location obsessive :) It's on the staycation list as of now! I mentally noting Loch ness as another potential camping and caravanning trip. What a gorgeous place and a fun little museum. Lovely post! Cute video too and yep very convincing haha. I remember going to Scotland a similar age as your children and it was so much fun and felt so real to be hunting after a dragon snake creature in the waters!